Learn the simple yet effect Orton technique to turn a dull image into a great one. This will become one of your core techniques. The Orton technique is named after Michael Orton who was the first to overlay two slides both overexposed, one being sharp focused and the other one blurred. Since we have entered the digital era, we can now replicate this same technique using just one photo in several ways. I will show you the way I usually do it using a RAW image file. The Orton Effect, named after Michael Orton who first used the technique, is a sandwich of two images, one in focus the other out of focus. Freeman Patterson and Andre Gallant have both used the technique successfully in their work as well. 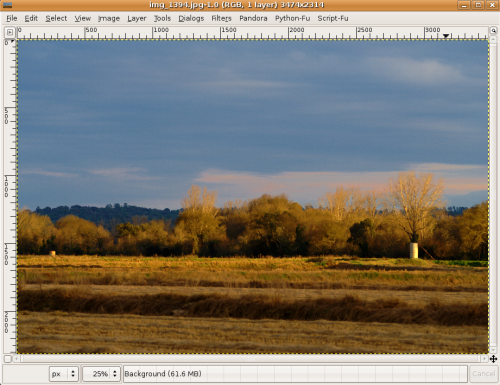 The Orton image has traditionally been done using slide film with the first, sharp image overexposed by two stops and the second, out of focus image over exposed by one stop. It is important to use a tripod for this type of work to ensure your photographic elements remain in register on the film. The shots were then sandwiched together in a single slide mount to produce a beautiful, impressionistic image. We are beyond that now and with so many things in the world of digital photography, we can now duplicate the same effect in multiple ways. 1. 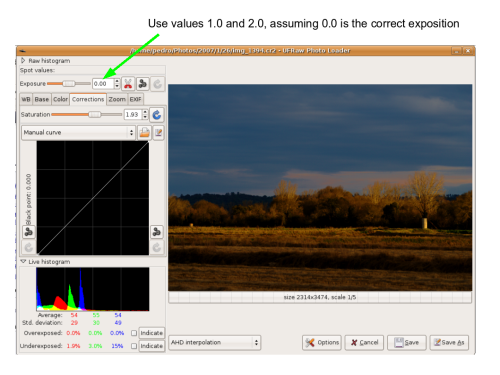 Create two versions of the picture: one overexposed by one stop, the second overexposed by two stops. To achieve this I used UFRAW, again an open source tool. 3. Ajust the levels of the image. Part of the reason that the colors may look muddy in a figure is because whites are not fully white and blacks are not fully black. 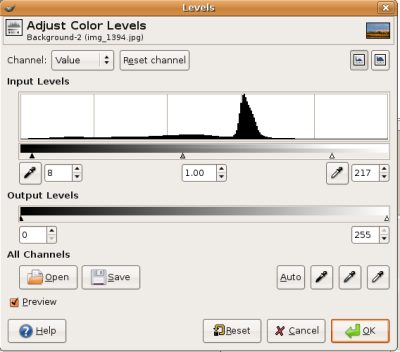 Adjusting the sliders on the left and right so that the sliders go just a bit to the "inside of the histogram". 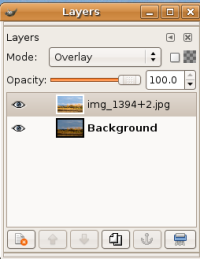 Use Ctrl+L and you will be able to see the show layers. Note that I changed the mode of the second layer from Normal to Overlay. I usually use values between 30 and 200. As you can see it was rather easy.